Firstly, choose and set up a suitable place to practice your regular meditation. It can be any place with minimal disturbance, for example, a corner in your bedroom or any quiet corner in your house. 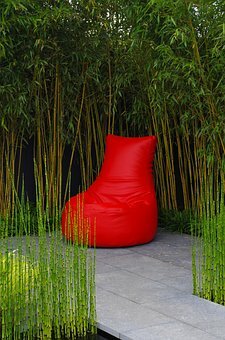 Place a meditation chair or cushion there to use when meditating. Arrange everything around to create a peaceful space. Then, set up a regular meditation time that fits well with your daily schedule and temperament. Begin with sitting from 10 to 20 minutes each time. Then, sit longer or more frequently. Daily meditation can become a habit like toothbrushing or bathing. It can create a regular calming and cleansing to your heart and mind. Find a posture on your meditation chair or cushion where you can sit without being rigid. Let your whole body be firmly planted on the ground, your hands rest easily, your heart feel soft, your eyes be gently closed. Just feel your body consciously soften and let go of any habitual thoughts or plans. Direct your attention to feel the sensation of your breathing. Take several deep breaths to feel the breath most easily. Then let your breaths be natural. Feel the sensations of your natural breathing, relax and feel each breath, notice how the soft sensations of breathing come and go each time. After a few breaths, if your mind may wander, just simply come back to the next breath. 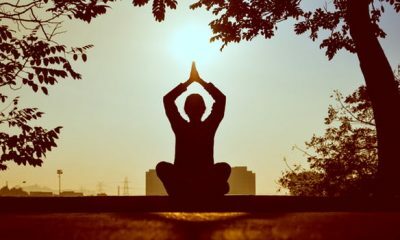 Before returning, mindfully acknowledge where you have gone with some soft words in your mind like “hearing,” “thinking,” “itching,” “wandering.” After that, directly and gently return to feel the next breath. When you sit down, change the breath rhythms naturally, allow it to be long, short, fast, slow, easy, or rough. Calm down by relaxing into each breath. Let your attention become as soft and gentle as the breath itself. Gently bring yourself back a thousand times. Over weeks or even months of this practice, you will learn how to calm and center yourself by using the breath.